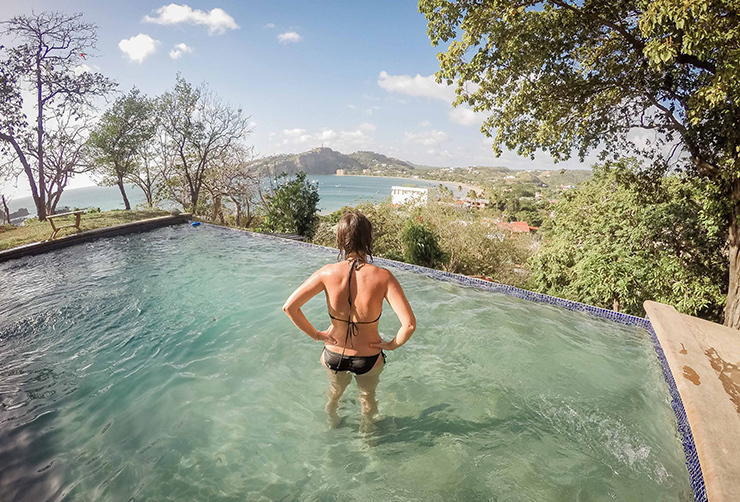 What does it cost to travel 2.5 weeks in Nicaragua? 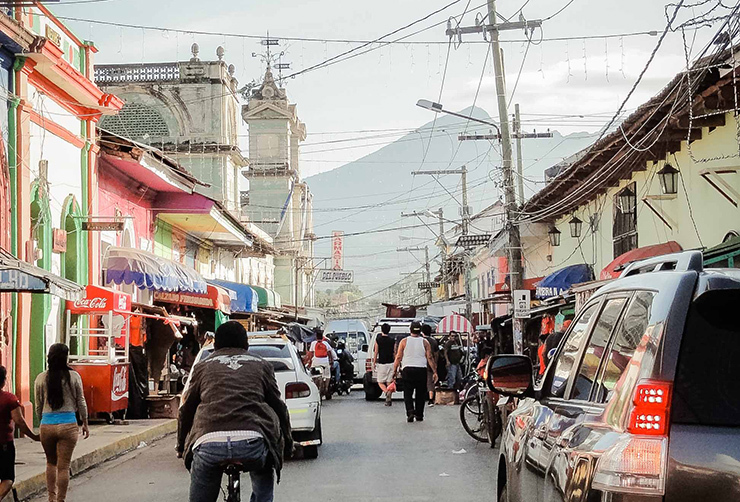 Read this article to be able to estimate your budget for your adventure to Nicaragua! We probably don’t have to tell you that this country is still very cheap to get around? But do not wait too long though, because we expect that it will follow the trend of neighboring Costa Rica. And unfortunately that is not good news for your budget… Nice bonus: Nicaragua is not only the cheapest but also the safest country in Central America. Moreover, the country is relatively easy to travel as a backpacker. And yes, it is amazingly beautiful! Your journey begins with the airline tickets, of course! In late December we flew with United Airlines from Amsterdam Schiphol Airport to Managua. For €570 per person we found a ticket with two short stops in the United States. No problem for us, the price was very reasonable. Booked instantly and our planning could begin! 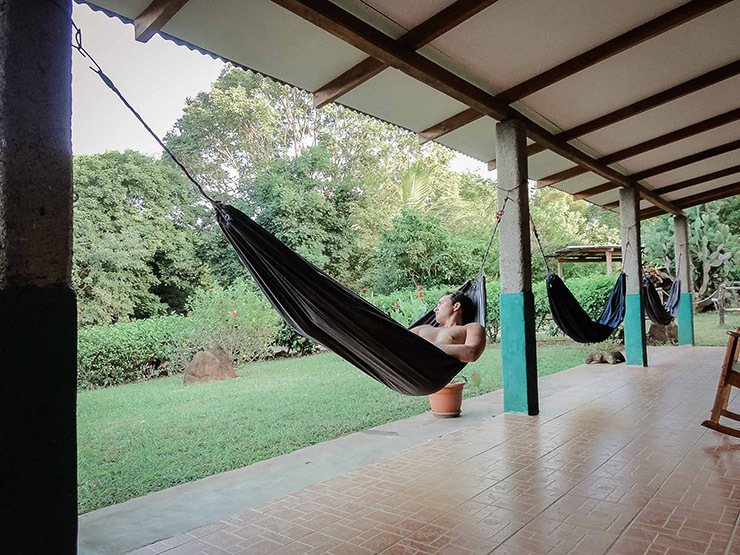 Nicaragua has plenty of nice cheap places to stay. We mostly stayed in hostels. Besides dorms, they also offer rooms with private bathroom for 25-30 USD. You shouldn’t expect much comfort, but the rooms are clean. Those who can not be satisfied with that, unfortunately have to look in a completely different price range. The choice of (luxury) hotels is very small and that is reflected in the prices. Nicaragua today is really a backpacker destination! For those who want more luxury, neighboring Costa Rica is probably a better option. Tourism is already much more developed over there. Our last four nights in San Juan Del Sur, we did choose for a more luxurious accomodation, through Airbnb. We accidentally found a wonderful offer: a beautiful house with swimming pool and a magnificent view of the bay. This came to $75 per night, which is more expensive than we are used to but worth so much more! Moreover, we were allowed to use the kitchen, saving us some money compared to go out for dinner. The stay was so amazing that we didn’t went out to a restaurant a single day. Every day dinner with a view from the pool, we didn’t doubt! We ended at an average of $25 per night for the hostels and $38 per night including the Airbnb accomodation. If you choose a bed in a dorm, you can obviously travel cheaper. Then you should count a little less than $10 per person per night. If you choose for local transportation, you can move around dirt cheap. For approximately $1 per person you get from one stop to another. Moreover, the bus network is surprisingly extensive! It is certainly not the fastest way to travel, but fortunately all main spots in Nicaragua are relatively close to each other. It also isn’t very comfortable – you may be lucky if you have a seat – but it surely is a fun experience. You immediately experience why they call them “chicken busses”! Also the ferry to Ometepe is quite cheap. Count on $1- $2 per person. Nicaragua is such a country where burgers are more expensive than a normal main course. If you opt for local food, you’ll eat dirt cheap. Tip: look for a typical comedor. Let yourself be guided by the locals. Guaranteed you eat delicious for just a few dollars. The best fruit you can find cheap on the local markets. And if you do not yet know: Nicaragua is the land of rum! No gin tonics this time, but come on with the Mojitos! For 17 days we spend $372 or $11 per day per person on food and drink. Of course, your holiday isn’t complete without some excursions. 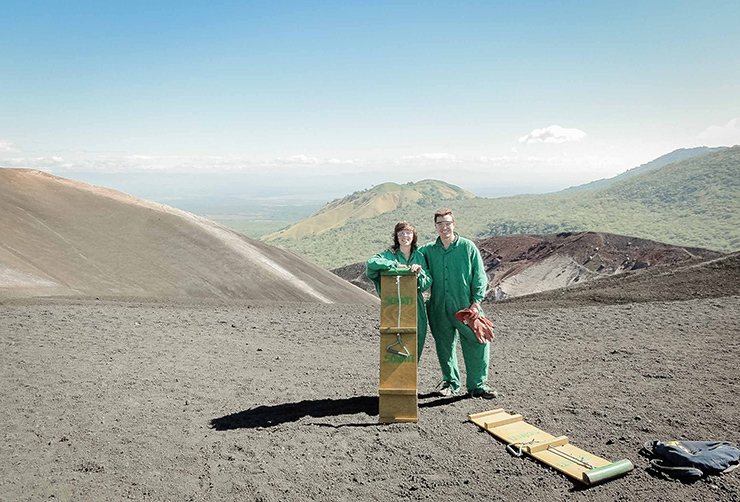 Must-do’s are Somoto Canyon ($25 including lunch) and a two-day trek including volcano boarding ($45 per person). On Ometepe, we hired bicycles to explore the island. This costed us $10 for two for one day. All expenses above gives a total of $574 per person, excluding our airline ticket. This is only $34 per person per day. Yes, amazingly cheap for such a great adventure!